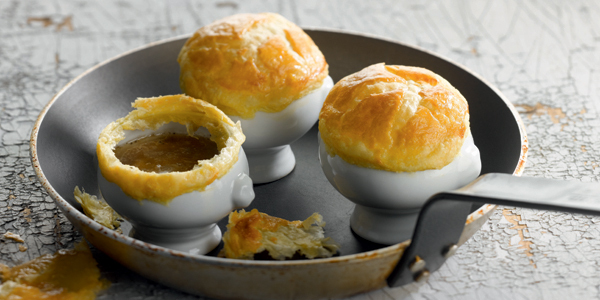 Both an historic and gastronomic monument, the invention of the Camembert cheese is attributed to cheesemaker Marie Harel, who lived near the village of Camembert in the early years of the French revolution. 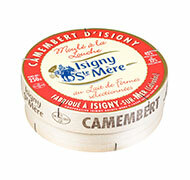 In its early years, Camembert was made by dairy producers who turned to cheesemaking. 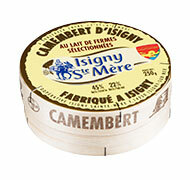 Camembert cheese earned a good name in Normandy, extending its reputation further afield in the late 19th century. 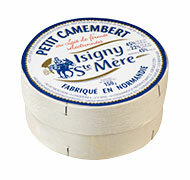 At Isigny Sainte-Mère, no-one can forget it, milk is white gold! 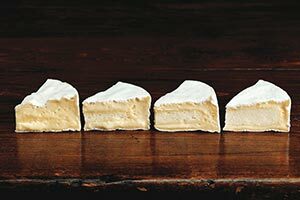 And it is this outstanding raw material which allows the cooperative to make a Camembert that never fails to take on a beautiful colour as it ripens, giving off a heady perfume. In a nutshell it becomes a character! 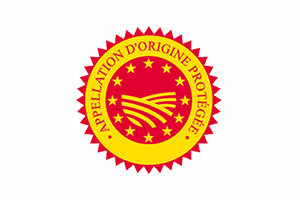 The European system of Protected Designation of Origin (PDO) has its origins in a French system that recognised and identified products which typified a given terroir and traditional producers’ know-how. 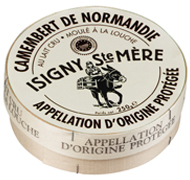 The Normandy Camembert was awarded PDO status in 1986. This is an official mark of quality. 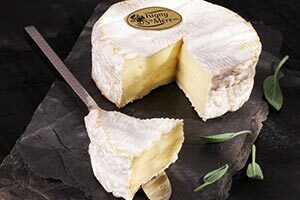 First of all, it guarantees that the Camembert has been made locally from raw milk produced in the Normandy terroir. 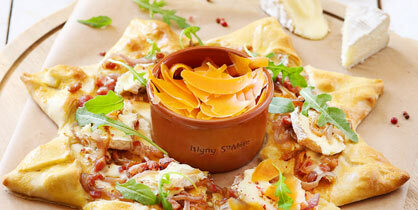 The mould is filled by hand with a ladle and the cheese is ripened for a minimum of 16 days in our ripening chambers. The milk destined to become Camembert cheese is first heated in vats. Then it is seeded with lactic cultures and rennet is added. The rennet curdles the milk and starts to drain naturally, before the moulds are filled either by hand with a ladle or mechanically, in a number of successive passes, depending on the required results. Each layer of curds will rest for 40 minutes before the next is added on top: this is a basic measure to ensure the finished cheese is supple. 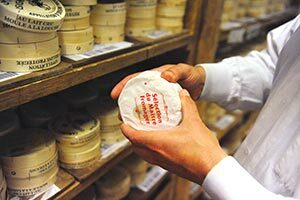 The batch of Camemberts are salted and then put to rest in a well ventilated room called a hâloir, in which the master cheesemaker watches over the early stages of the ripening, which he can adjust by changing the humidity and temperature in the room. 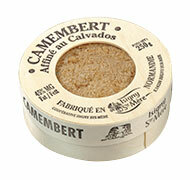 On day four the Camemberts release a mild smell of apple, a good sign for quality. 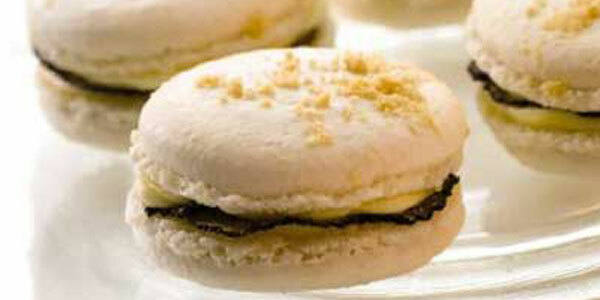 On day six the appearance of a downy white coat of penicillin marks the start of ripening. 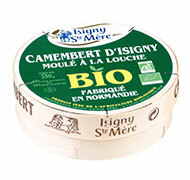 This downy coat is why Camembert is classified as a soft cheese with a mould rind. 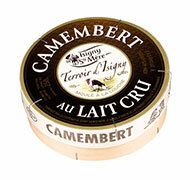 On day 12 the cheese is ready to be packed into its traditional wooden box, in which it will continue to ripen. Milk from the farms in the cooperative have a naturally occurring lactic bacterial flora which are unique to the Isigny terroir. 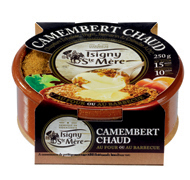 Because they are present in Isigny Sainte-Mère Camemberts, the taste is sufficiently distinctive for experts to identify the cooperative’s output in a random batch of Camemberts.